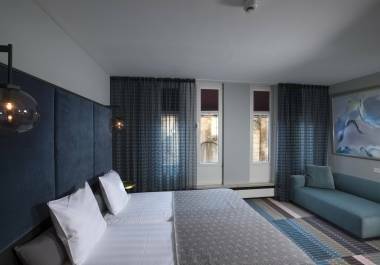 Derlon Hotel Maastricht offers a total of 50 rooms, including 27 Deluxe rooms, 18 Premium Deluxe rooms, 3 unique Suites & 2 City Apartments. In here, you can not only enjoy maximum tranquility and privacy, but as well a great French-looking, unique view over a beautiful part of Maastricht. Below you can find more information about each specific room type. Our Deluxe rooms are fully equiped with all modern conveniences and comfort. Opt for that bit more luxury and comfort during your stay. 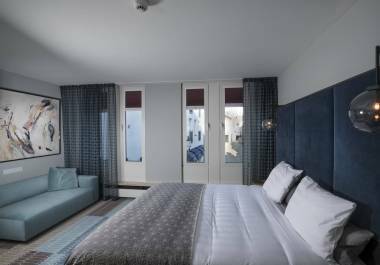 Enjoy a spacious room with stunning view over the Stokstraatkwartier. Enjoy ultimate luxury and pampering during your stay. Choose from one of our three unique Suites: the Derlon Suite, the Sphinx Suite or the Andre Rieu Suite. 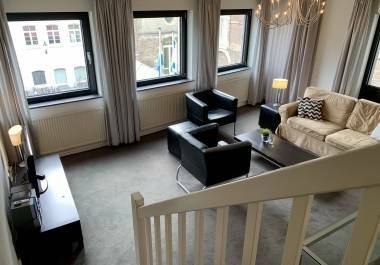 Stay in one of our spacious, well-equipped City Apartments in a little side street of the Onze Lieve Vrouweplein. Suitable for longer stays.